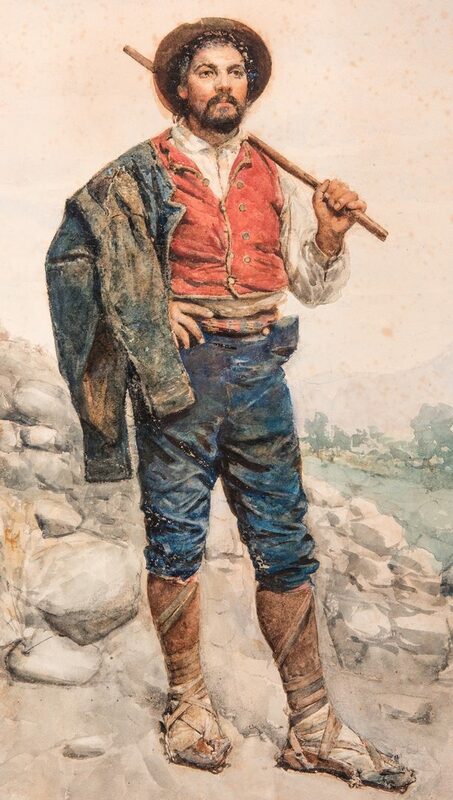 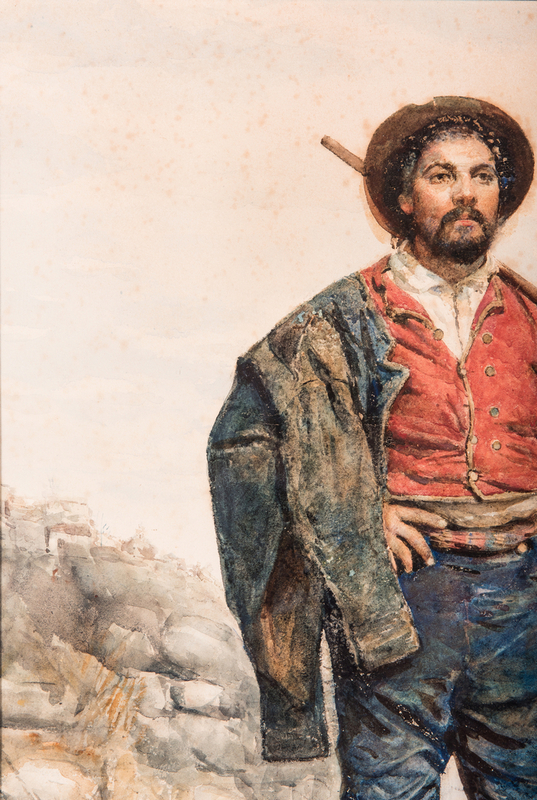 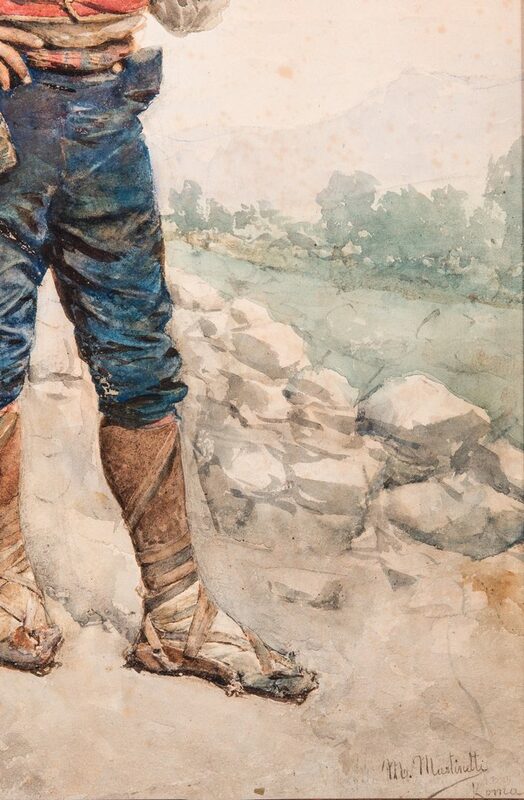 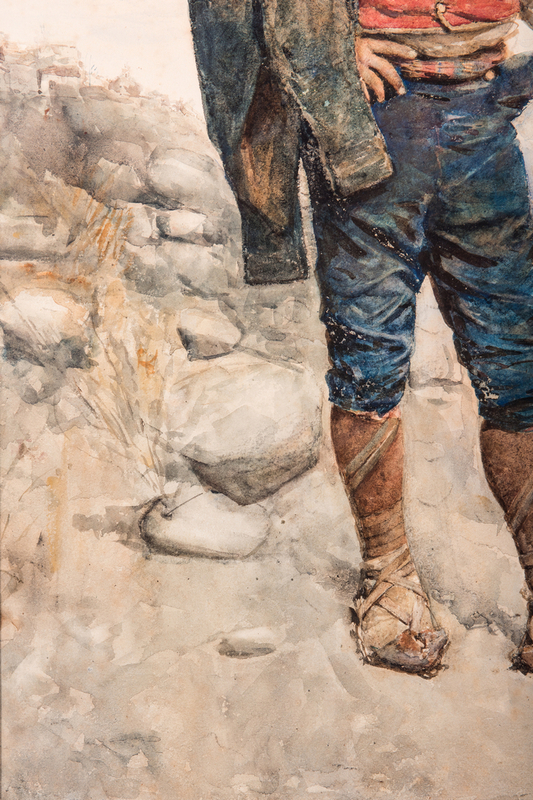 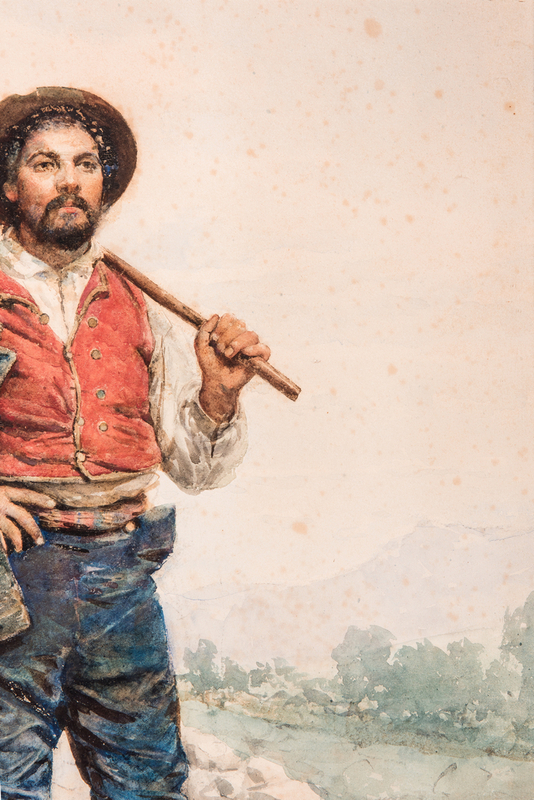 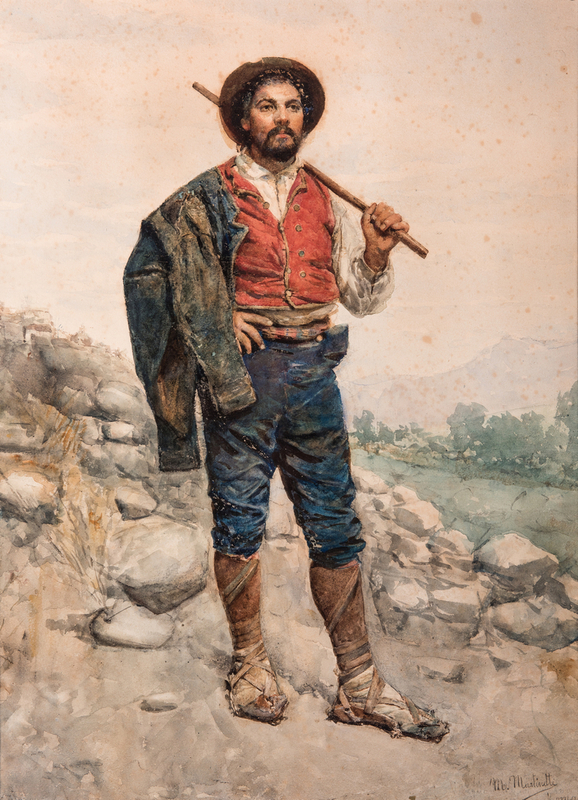 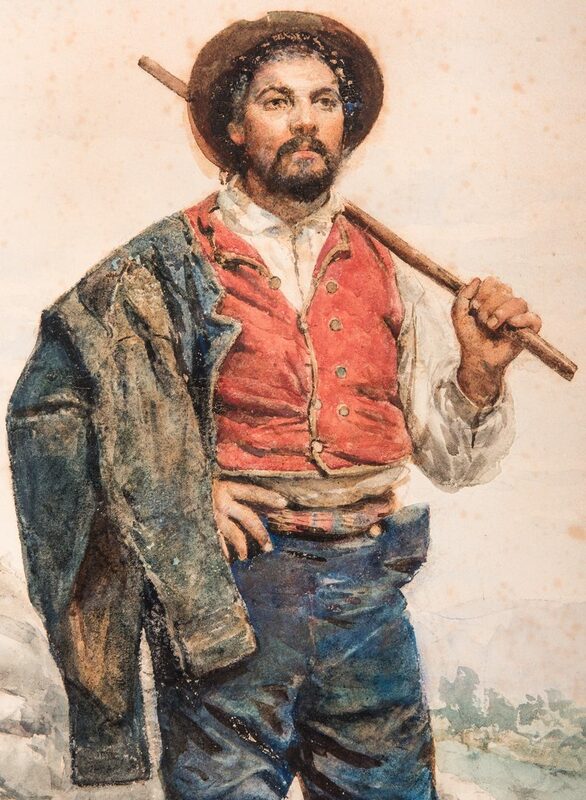 Maria Martinetti (California/Italy, 1864-1921) watercolor on paper painting depicting a male peasant worker standing against a rocky Italian countryside backdrop. Signed "M. Martinetti Roma" lower right. 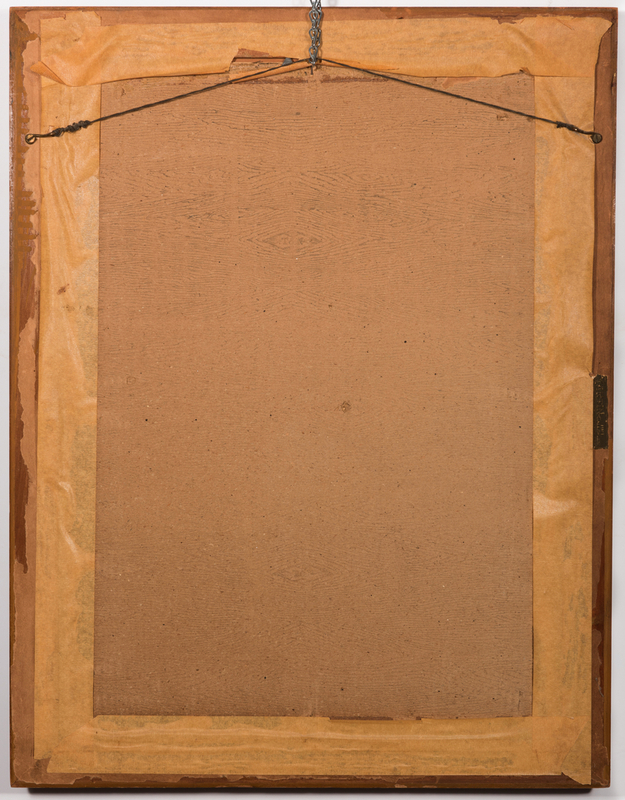 Martin Art Galleries, Chicago, IL label, en verso. 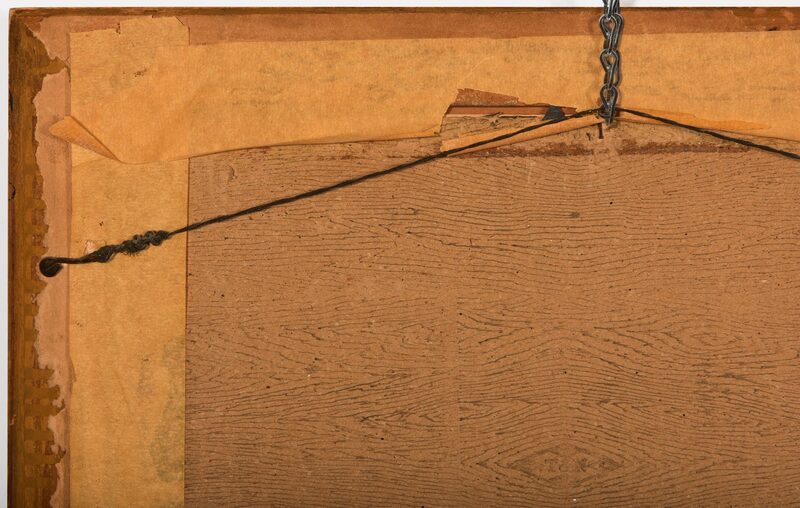 Housed under glass in a carved wooden frame. 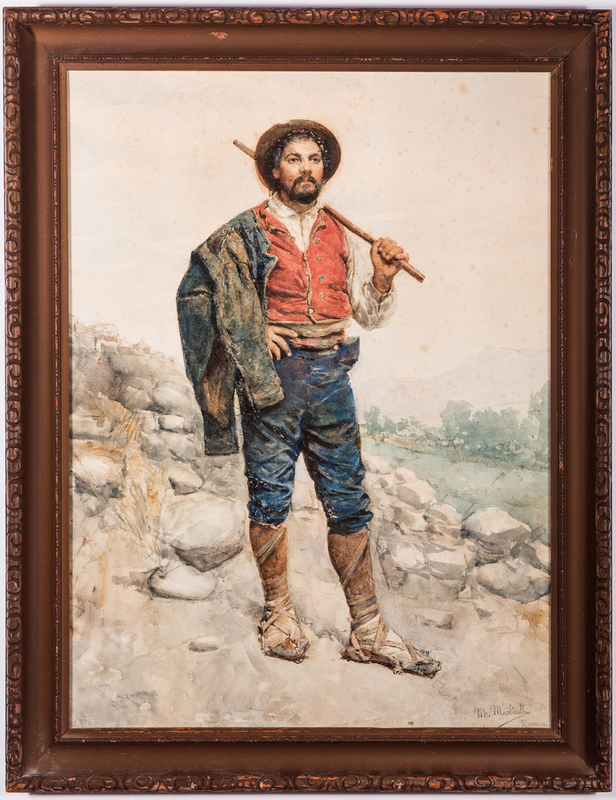 Sight – 22 5/8" H x 16 5/8" W. Framed – 26 1/2" H x 20 5/8" W. CONDITION: Overall good condition. 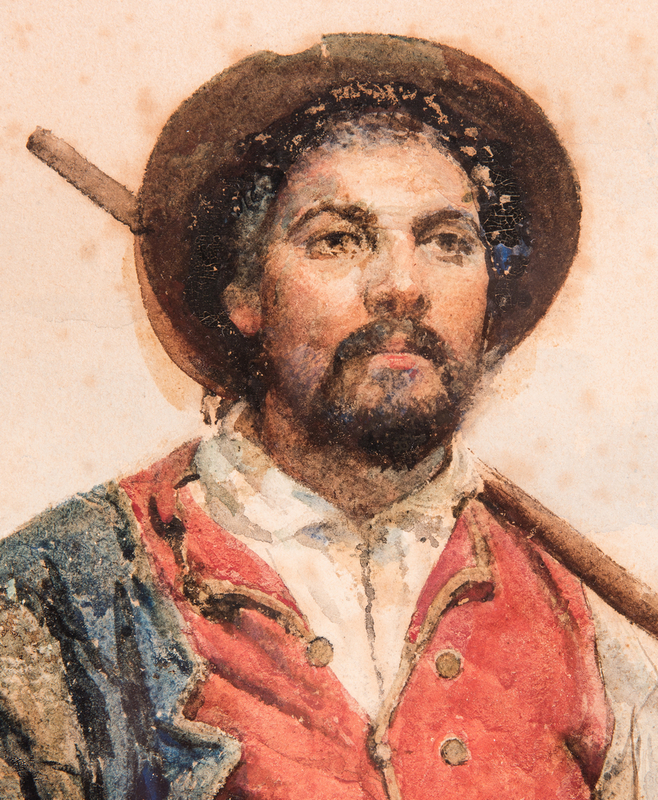 Foxing spots, largest 1/4", surface of painting.